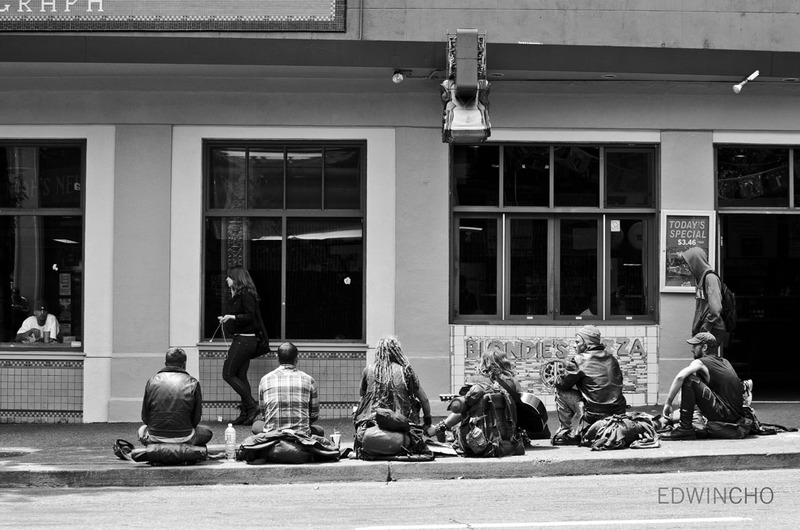 This is a photo I took early this year on the streets of Berkeley, but I forgot about it 'til recently. I actually didn't notice the fist bump until I took a close look at the photo, it was definitely an accidental success. I especially love how all eyes, from the guy sitting inside to all the homeless people, are on the girl.